Once upon a time I fell in love with snickerdoodle ice cream. Before that love affair I felt quite neutral about snickerdoodle cookies. But that ice cream, it changed everything. This deep love for snickerdoodle ice cream continued for well over a year, maybe close to two years. It's probably one of my longest running food obsessions to date. 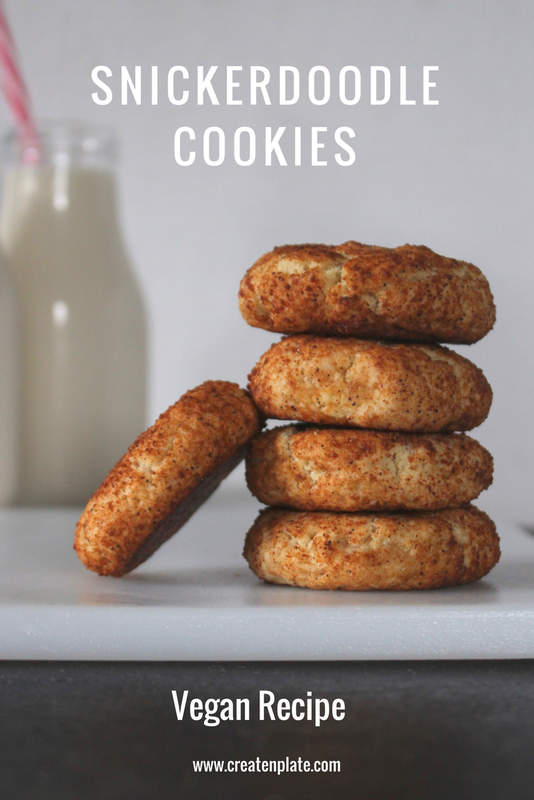 These cookies are just an extension of that love; a way to simply get more snickerdoodle action in my life. They're perfect for the upcoming holiday season too. You can just throw these in a container and take them to any family gathering. No worries about messing them up and easy for friends and family to just grab one and go. Convenience, comfort, and a little bit of that snickerdoodle sugar crunch. Prepare flax eggs and set aside to thicken. In a large bowl, combine all ingredients except coconut sugar and nutmeg. Blend together with your mixer. Place dough in refrigerator for 2 hours or overnight. When you're ready to make the cookies preheat oven to 400 degrees. Combine 2 tablespoons coconut sugar and 2 teaspoons nutmeg in a small bowl. Roll dough into small balls and toss in sugar mixture. Place on a parchment paper lined baking sheet. Bake for 10 to 12 minutes. Remove from over and let cool for 10 minutes. Serve, enjoy!